As Wells Fargo expanded its branch presence to the Big Apple and other Northeast markets, the banker wanted a way to introduce itself to its new neighbors while inviting them inside its state-of-the-art retail spaces. LABOUR PARTY answered with a Storefront Messaging System based on a simple, friendly "Hello, ____" platform that could be easily adapted to different boroughs—making its greeting to locals that much more personal. TD Ameritrade takes green practices seriously in the construction of its physical branches. To highlight the FI’s conscientious use of recycled materials and energy-efficient, footprint-reducing methods, LP crafted a series of In-Store Sustainability Messages placed in smart touchpoints throughout retail spaces—giving customers even more reasons to feel good about who they bank with. 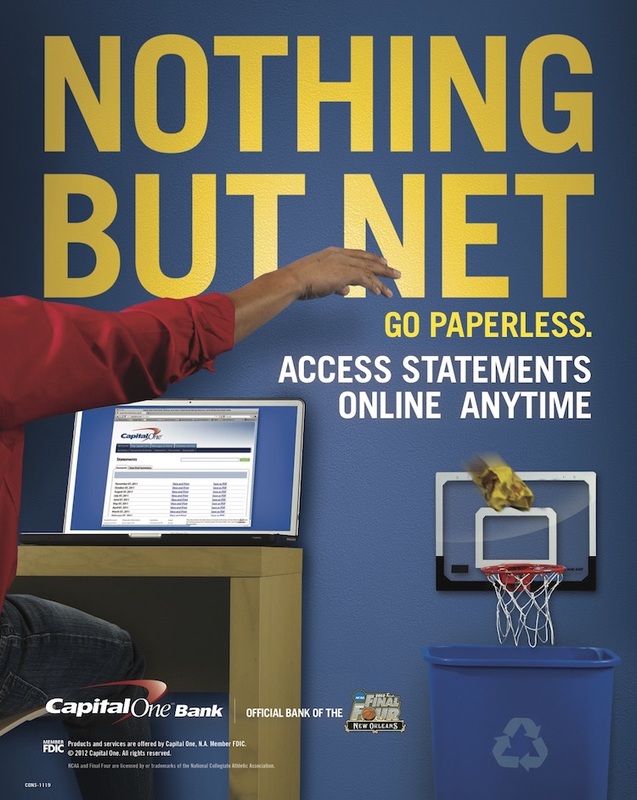 To promote Capital One's sponsorship of the mega-popular NCAA Basketball Tournament, with smart tie-ins to the bank’s mobile and lending products, we wrote up this fan-focused In-Branch Promotional Campaign that netted big points for crafty strategy, fun creative, and a healthy uptick in sales.